News, by definition, is not about the ordinary. It is the attention getting story that gets played or published. And so when wine gets attention in the mass media, it is often about a record setting price paid for a particular Bordeaux wine. Along the line of “Tell a lie often enough about a generality and people will begin to accept it as truth for all particulars” we need to be reminded that not all Bordeaux wine is the same. Just ask the French. They live there and know something about French wine. They also know something about vintages which many of us take for granted here. Weather is important to all types of agriculture everywhere. But in France, where irrigating grape vines is not allowed, rain (its timing and its amount) are critical as are other factors that affect grape and other crops elsewhere. So while wine collectors and investors worldwide pay big sums for a Grand Cru from a great vintage (hoping to later cash in on escalating prices), I buy wine to drink it. And I prefer to pay other than big prices. And I prefer to enjoy good wine. And the two are not exclusive of each other. And you can too. So now we need to get to vintages and why they are important in Bordeaux, for example. I’m not a fancier of numerology, but recent vintages of note are 1995, 2000, 2005, (2009) and 2010. Two-thousand and nine was, perhaps, made a good year by Mother Nature just in order to throw off the numerologists. 2007 also had its merit, but is a year to appreciate early. If you learn the years of good vintages, want to drink good wine and want to do so inexpensively, it’s important to learn this so that you can work with the “Wine Mizer” system. When a year (vintage) is really stellar, almost any wine from that area will be enjoyable. It will not, certainly, be as complex or as structured or even as cellarable as a Premier Cru. It will also not necessitate that you apply for a home equity loan in order to enjoy a bottle. A good example is Chateau Cadillac from 2010 (pictured here). The Chateau is near Fronsac in Bordeaux and uses regional blends in making everyday table wine. Their red blend is 70% Merlot / 30% Cabernet Sauvignon… pretty classic even without Cabernet Franc or Petit Verdot and made in an “old world” style being less fruit forward. 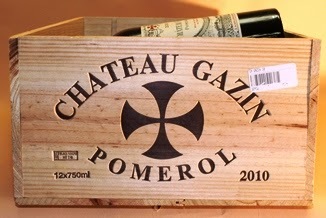 The wine is medium-bodied and offers all the classic depth and elegance associated with French Bordeaux. Now that I have your attention, let me better describe this $17 wine. Respecting that palettes differ, I enjoyed the wine’s nose of pencil lead and dark cherry which carried into the taste and married with leather and juicy cassis. The finish hinted at black tea although tannins were smooth and the finish carried along some dark chocolate. 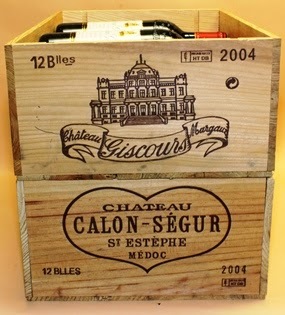 Chateau Cadillac is labeled “Bordeaux Superieur” meaning it is slightly “superior” to standard Bordeaux AOC wines. Although the Chateau is a 13th Century Estate and makes what I consider very good value wine, and although the estate’s chalk and gravel soils produce grapes of character and a sense of place, wine begins in the field. And 2010 was a great year for that area. beautifully now from these 3rd growth estates. Being a contrarian, and since I so enjoy Bordeaux wine, I do buy Grand Crus in off years. 2004 and 2006 encapsulated the great vintage of 2005. I bought each of those years limiting my selection to 3rd growths (Troisiemes Crus). The respected estates’ blending experience, and their access to quality barrels assure me of a wine that will cellar and develop beautifully over time. Buying the best (or at least very good) in off years means you don’t have to in great years. It means you can consistently enjoy quality “old world” wine in all years and at substantial savings in each. 2010s - a great year - but they're 3rds. why not try this Wine Mizer system for enjoying excellent Bordeaux wine at surprisingly affordable prices? You’ll thank me later (if your parents raised you correctly). ……………….. Jim (Master Gardner, April 1992. U of I Cooperative Extension Service). Follow Wine Mizer on Face Book for mini-reviews of wine, recipes, fun facts and more.